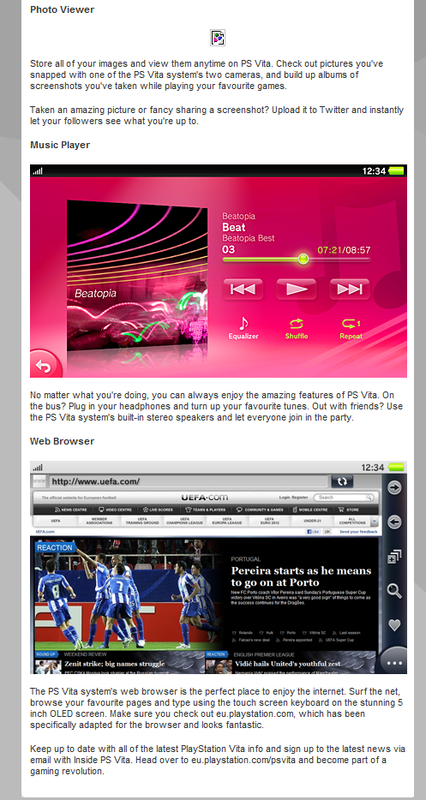 Leaked Images Of PS VITA Web Browser And Music Player Surface! Some screenshots went up on the official EU Playstation website which were immediately taken down. 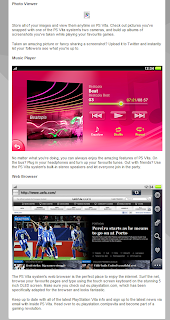 The images revealed the interface for the SONY PS VITA web browser, it also included a snapshot of the music and MP3 player. 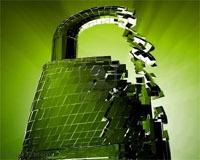 Click to view the images. 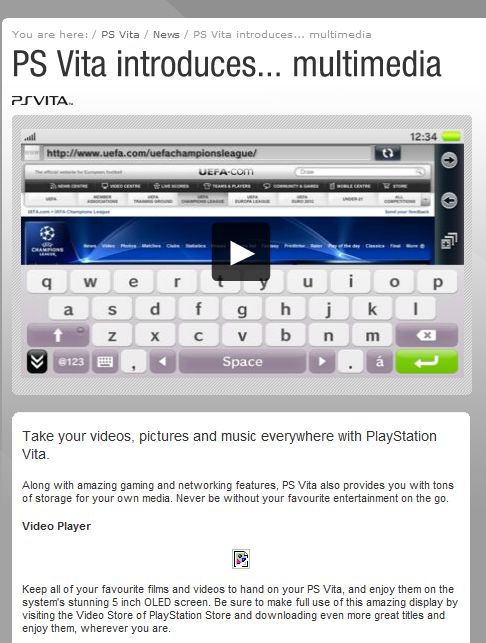 The images seem like the web browser will be a great addition to the PS VITA. Also this is maybe a confirmation that flash is included as the EU Playstation website does have quite a bit of flash one the page, and the PS VITA web browser is displaying those images. Thanks to Zackarius who sent us this message at the forums, remember to join the forum and submit your own news, just click the forum tab and sign up!